This IPC Eagle CT15 compact electric automatic floor scrubber really takes cleaning to a whole new level. The 14" head is compact and can fit underneath tables, desks, chairs, and anything else that may get in its way. The follow behind squeegee is placed immediately behind the brush and swivels out as you make a turn to recover 100% of all the solution placed down on the floor. We have never seen such an efficient compact auto scrubber at such an affordable price! This electric CT15 auto scrubber is a great addition to any cleaning line, but especially those found in health care facilities, schools, and gymnasiums. With an electrical cord powering this machine, you get an automatic floor scrubber that truly offers you unlimited run time for continuous cleaning! When you need to clean your facility at unusual times due to a spill or an accident, this compact unit will be ready to go. Unlike the battery powered compact scrubber that we also offer, you'll never have any down time waiting for the batteries to recharge. We offer a complete walk through of how to properly scrub a floor with an auto scrubber if you're a newbie, and just starting out in this business. For more hard floor cleaning options, please take a look at our complete line of automatic floor scrubbers, which includes a larger version of the above mentioned battery scrubber, our cafeteria/gymnasium floor scrubber. Removable waste water tank makes it easy to dump your recovered solution and clean out the tank. All 4 edges of each squeegee blade can be used and they are easily replaced without the use of any tools. Adjustable handle allows an operator of any size to easily operate this compact scrubber. 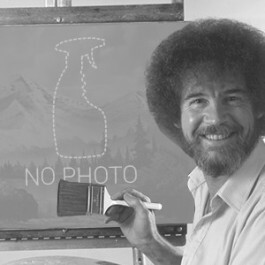 Squeegee follows directly behind the brush to recover 100% of the laid down solution, even when turning. 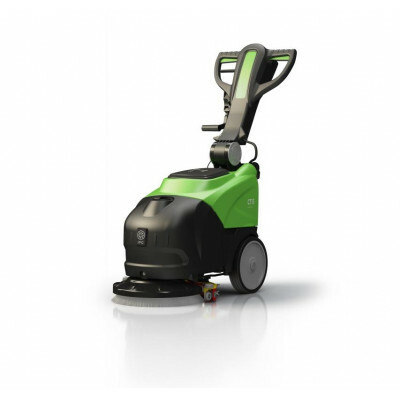 35' power cord gives this compact electric auto scrubber plenty of room to roam as it scrubs. 14" scrubbing head can fit underneath tables, desks, chairs & other obstacles for extremely efficient cleaning. Customers who were interested in the IPC Eagle CT15E Compact Electric Auto Floor Scrubber were also interested in the following items. Great for our school cafeteria. Awesome machine that makes cleaning our cafeteria extremely easy. Would definitely buy again. This is a review for the IPC Eagle CT15E Compact Electric Auto Floor Scrubber.